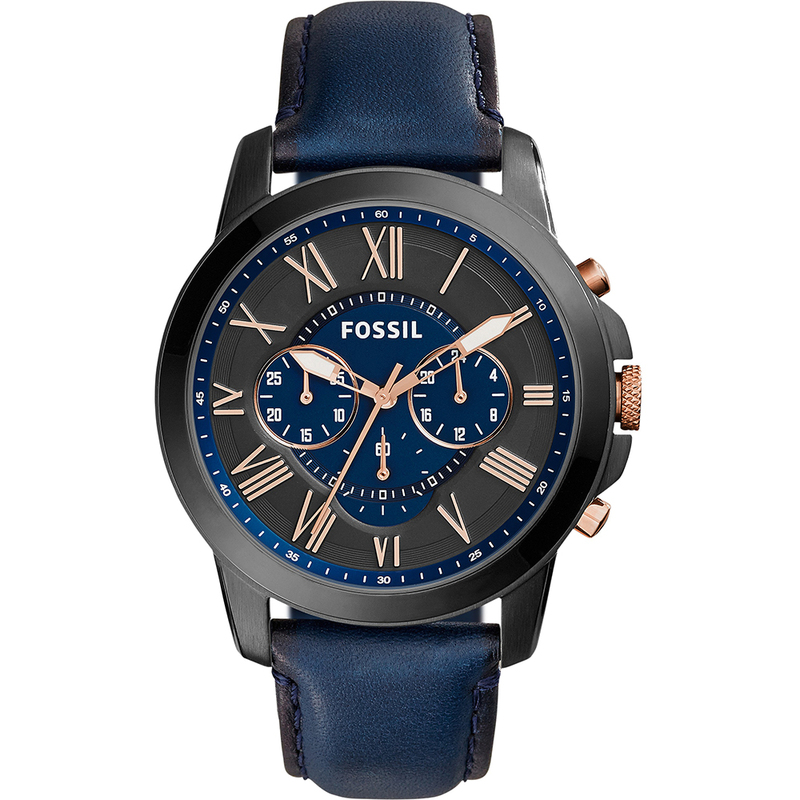 The Grant collection by Fossil consists of classic mens watches. This chronograph watch has a stylish dark blue leather strap and a black coated stainless steel 44mm case. 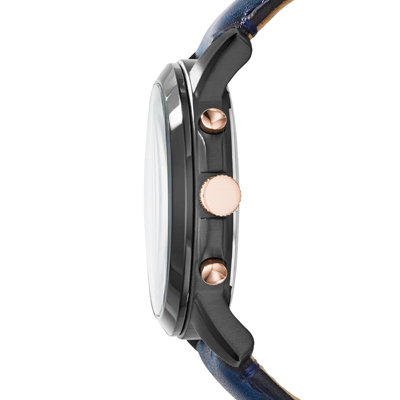 The rose gold indexes contrast beautifully with the black/blue dial. 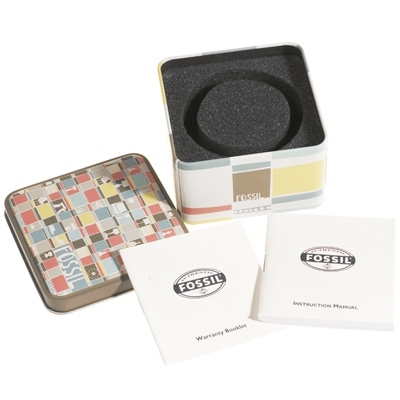 All Fossil watches come in trendy original tin boxes, which vary by season.